Oracle announced earnings above expectations in its Q2 results. Total revenues were up 6.6% to $9.6 billion. Cloud SaaS revenues were up 55% alone to $1.1 billion and cloud PaaS revenue up 21% to $396 million. Even on-premises software revenues were up 9% to $7.7 billion. The latter showing a strength in the loyalty of existing customers. Only hardware revenues continued its slide, down 9% to $940 million. To back that up he added the names of customers from the current quarter: “In HCM, Abu Dhabi National Oil Company, Association Generale, BioWare and Pharmaceuticals, Chicago Transit Authority, The City of Atlanta, Deutsche Post, Emblem Health, Emirates Air, Henry Ford Health Systems, Mars, Shell, Southwestern Energy Company, Treasury Wine Estate, Williams-Sonoma.” Source www.seekingalpha.com). There are some significant names there and some of their case studies will be interesting to see. This is the last quarter where NetSuite revenues were absent from the previous year. As a result, next quarter Safra Catz, CEO Oracle forecasted that cloud revenues will drop to between 21%-25%. Total revenues are expected to grow between 2% and 4%. This slow down in growth is unsurprising and reflects the true growth of the Oracle business. However over the last year Oracle has invested heavily in NetSuite and those investments should catapult NetSuite growth in the coming quarters. NetSuite has strengthened its presence in the US, Europe and the Middle East especially. It will be interesting to see how the GBU fares. What isn’t revealed is the share that NetSuite contributes to SaaS earnings. This would have been interesting. There were couple of significant announcements just before and during Oracle Openworld. BYOL and the autonomous database. Customers are now able to take advantage of BYOL and the autonomous database is still due for launch in January 2018. However, to take advantage of the autonomous database Oracle is seeing an uplift in other services. Catz explained: “So it’s not only BYOL. It’s also in preparation for Autonomous Database. 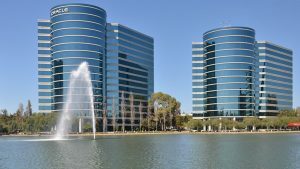 So understand that to get the benefit of Autonomous Database in the Oracle cloud, you bring your own license, but you may also, you will also need depending on which service you need, you’re going to need some of the options in addition.” www.seekingalpha.com). It will be interesting to see how SAP respond to that statement. Especially after the recent announcement of SAP SuccessFactors People Central Hub that is at least a bridge between Oracle and HANA. These are strong results from Oracle. While there will be a slow down in the growth of cloud revenues from the 40%, Catz explained that. However, that momentum may yet grow again as NetSuite leverages the Oracle ecosystem. It recently announced the addition of three significant Oracle partners to its own partner ecosystem. When the autonomous database is available in January it will be interesting to see who are the marque customers. More particularly what benefits they derive from the new solution. It is those benefits that competitors will carefully watch to see how significant a threat it is and what they need to do to catch up. While the results are good there are still some metrics that are absent from the announcements. Customer satisfaction rates, retention rates, implementation times are just three that are rarely mentioned. 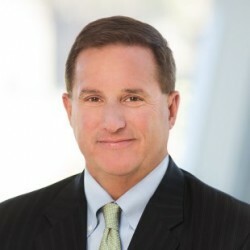 As Oracle becomes more cloud centric in terms of revenues it will be interesting to see whether it starts to measure and/or reveal the results of these metrics too. Next articleCould ICO identity compliance backfill IDaaS?